We are finally finished with season 3 of ‘Show Me the Money’ as the winner was announced on September 4’s episode, ending the show with 10 episodes overall. After finishing episode 10, I have to say that instead of being disappointed, I am rather satisfied with the end results. The episode starts off with our second semi-final battle between CJamm and Iron. Regarding CJamm’s performance, I have to say that I actually enjoyed his performance. I was really feeling the song as it sounded super good to me and his stage presence, although lacking quite a bit, was better than the other performances he put on in the past episodes. I’d have to say that this was CJamm’s best performance yet throughout the whole show and it’s good that his last performance he put on the show was his best one yet and my personal favorite from him. Iron da bae performed his own cover of Leessang’s ‘독기 / Poison Gas’ which was yet another great performance from him. The performance was just so chill and laid-back and because it told the story of Iron’s life, that’s why his performance came off as very powerful and strong and moving. Iron didn’t even have to do anything; He was just standing there while rapping into the mic but yet he managed to move people’s hearts and minds with his emotional and honest lyrics. I remember when the others were watching Iron’s rehearsal of his performance, many felt like CJamm was going to win and many thought that Iron’s performance was rather weak and bland and boring, but it’s funny how things turned out when Iron performed in front of the audience. They loved it and I did as well. Those moments when he would scream and shout into the mic and yell his lyrics out, OMG IRON COME HERE LET ME LOVE YOU. Basically, I was very content with his performance and was confident that he was going to win CJamm. As I had expected and wished for, Iron ended up winning against CJamm and made twice the amount of money that CJamm did. Now our final round consisted of Bobby and Iron, two of the contestants I found to be most humble and underrated. I don’t think anyone came out thinking that Team YDG would be going against Team Illionaire. If anything, I think people thought that Team Swings and San E would win since they had Vasco, but surprisingly that wasn’t the case. We went straight to the final round after finding out the results to CJamm and Iron’s battle. Bobby was up first and first of all, he looked so damn fine in that outfit he was wearing. DAMN BOBBY. DAMN. Anyways, regarding his performance, we all know by now that Bobby always puts on great performances. He is always so charismatic and energetic and when his song is lacking, he makes it up by performing tirelessly. This performance was no exception. He was running around the stage and went up the stairs and even gave his aunt a hug which I found very endearing and sweet of him. It was just like every other performance that he put on. I can’t say much, because the song was similar to his past songs and the performance was enthusiastic like usual. I don’t know. It was just a Bobby kind of performance. Lol. I mean I liked it and he did great. For some reason Mnet always uploads Iron’s performances really late so I am not able to provide a video of Iron’s performance for the finals round right now in this post, but I think you’ll be grateful that I don’t. Ugh. Iron. Iron my baby. Your final performance that would be the last performance you ever perform for this show was just….your worst one. I disliked it. It was just all over the place. It was messy. It was disorganized. He did rock which Vasco and Bobby tried out before and succeeded in and I’m afraid to say that I personally don’t feel like Iron achieved the same success that Vasco and Bobby did when they put on their rock performances. I don’t even want to go back to re-watch his performance. I disliked it so much because Iron has put on a lot of better performances and this performance was so weak. I wished his song was a lot better because the song was just not screaming out Iron. I was waiting for it to be better and for Iron to do something amazing and powerful and mind-blowing, but there wasn’t anything that made me proud of him regarding his final performance. I guess this is what happens when you have such high expectations for a contestant, but it’s just because I love Iron and I wanted him to win this show and because I mean he was just different really. He came in not being popular, not being known, being underestimated, being underrated, and then he managed to make it to the final round. The whole time I was watching his performance I was so heart-broken and sad because I was expecting a lot since it was his final performance and the thought that he could do better was just constantly roaming in the back of my head. *sigh* I’m disappointed with his final performance, but I still love Iron and I am going to support him no matter what. Long story short, Bobby ended up winning against Iron and he is now crowned as the winner of the third season to ‘Show Me the Money.’ I’m not so sure on how the voting system worked this time and I was rather confused so I won’t comment on that, but I do have to say that I’m rather satisfied that Bobby ended up being the winner. I’m not so bitter that Iron didn’t win because I honestly didn’t want Iron to win to a performance that was just so everywhere and that didn’t leave me bawling and crying on the floor because his performance was perfect. 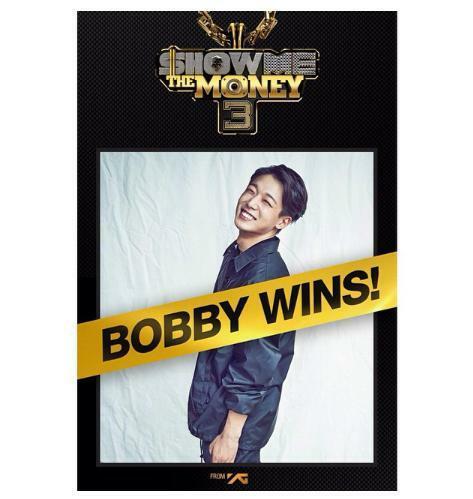 So with that, I’m quite content with Bobby being the winner. Bobby has worked hard as well and his whole goal was to win so that he could bring his family over to Korea and I hope that by winning ‘SMTM3’, he will be able to do just that. I mean I love both Bobby and Iron. The very first time I saw Bobby rap back in ‘WIN: Who Is Next’, I was so amazed and impressed by his rapping skills (I really mean this) and I would have never imagined that he would have appeared on ‘SMTM3’ and win. I think it was wise of him to go with another team and not Team YG like how B.I did because then by working with other producers that you aren’t familiar with, you learn a whole new variety of things and you grow along the way. 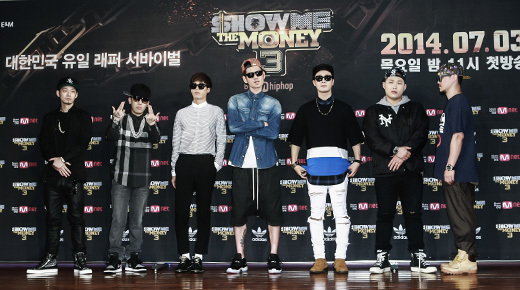 Overall, I had huge expectations for the third season of ‘Show Me the Money’ but it rather fell short pretty quickly. I mean with the producer line-up that this season was able to recruit and the many talented contestants that appeared on the show, this season could have turned out to be great and intense and amazing (than it already was). I’m still very upset over how Jolly V and Snacky Chan was eliminated so early into the show. I felt like once the teams were formed, that was when everything started to go downhill and the show started to get boring and dull from there. But that’s not to say that there weren’t any hi-lights this season. We were continually exposed to Team Illionaire’s constant repeats of ‘Turn Up!’ and witnessed Masta Wu’s viral ‘That’s no-no’ that got really popular and famous. Haha. So I mean I still watched it all the way to the end even with all the evil editing and drama because I wanted to watch the performances and see who would come out on top and because of the producers. I was able to discover Giriboy and Iron through this show so I’m not so regretful that I spent 10+ hours watching it. Lol. 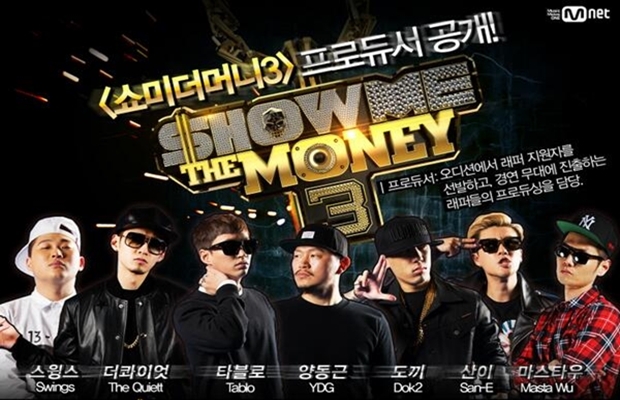 ‘Show Me the Money 3’ could have been better, but it’s done now and Bobby has won and that’s just how it is and there’s nothing we can do about that. I just discovered your blog and I feel like I’ve stumbled upon a goldmine! I love that you cover so much ground in the k-world. Dramas, variety shows, songs… It’s really amazing. I only started watching SMTM3 after my tumblr page was flooded with news of Bobby’s win and I was blown away by some performances. Though I gotta admit I only watched a few, like Bobby’s, Oltii’s (did I get his name right :O) and Iron’s. AND OH MAN FRIGGIN IRON. I’m not a rap kind of person, but his performance of poison gas was on-point. I have no idea how to describe it, but it hit all the right points and dug deep. I was particularly impressed by the lyrics as I first encountered it through a gif post of his performance with english subtitles and it was intriguing to say the least. Then I watched the performances with his voice and I was like if this is what good rap is, I think I can start appreciating it more. Anyway, before I ramble on, I am really glad to have read your posts about him, the show and other things! They’re really spot-on! OH I loved your writing cuz I think in the same way:I love Iron and Bobby And in my heart Iron Is a winner. I´m hwaiting for him!! This is the second blog post of yours that I’ve read but I just wanna say that I’m loving it 🙂 I love reading detailed commentary on how people find these shows, and actually I agree with a lot of things that you say, so that’s even better!